Heavenly blog! : No. 853: Rank drawings and my concern to reveal sin among preachers are both moral and ethical nature! No. 853: Rank drawings and my concern to reveal sin among preachers are both moral and ethical nature! Rank drawings and my concern to reveal sin among preachers are both moral and ethical nature! I have attacked, all for me and illuminated only public ministers and officers with responsibility for others. Never anyone else and challenged them the word of God that they live contrary biblical message of being re-married. This is something "everyone" Christians should and should do, not least others are managerial responsibility. Why do they do it mostly not? I do not know to the full, but I do it as a "duty" and responsibility within its God and man. When cartoon controversy was, it turned out that imams in Denmark used a picture of a pig feast in France to incite Muslims that it was this they compared the Prophet Muhammad with. So it is with me, I write and speak against remarriage among preachers. But what do I hear? That I'm not willing to stop "violations of privacy" and "troublesome behavior". To enlightenment; I've never been up with it and will never engage with this. 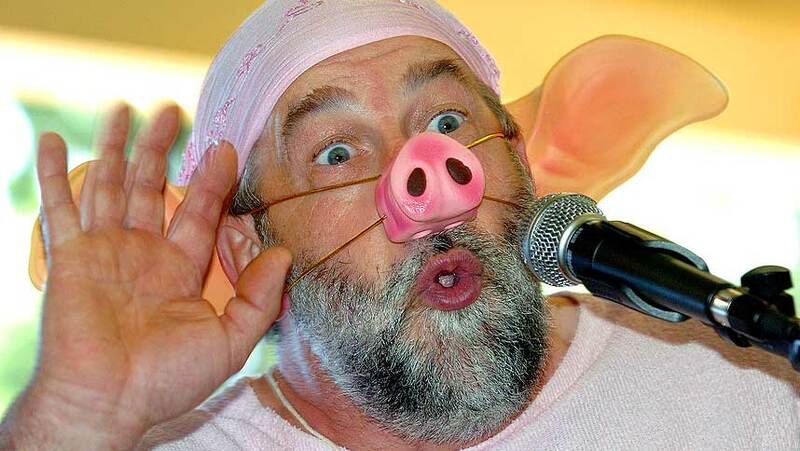 Pig Fest in France and to speak against gjengiftede preachers can be so many things! Ford Reier a true cap then it becomes a lie. It was a lie that it was the Prophet Muhammad compared with when they had pig feast. And it is a lie that I'm doing "violations of privacy" and "troublesome behavior as much as pig party in France is caricaturing the Prophet Muhammad. In the Arab world has the imams in Norway there are others who have taken on the task to distort the truth so it becomes a lie! I and those involved with cartoons have at least two things in common. 1.) We are not violent, operates only with what we can do with our hands, heart and brain. Corporal punishment, violence or any other driver, we do not or encourages. 2.) We are attacking and labeling it as many perceive as offensive, harassing and provoking. Most profoundly, not permitted it, so it is an attack on faith and freedom of speech! My relationship with nature drawings is something I do not take up here, then it really is without past my "field". But having been attacked in recent times with review and charges, which is 120% unwarranted and flapping accusations against me. It is only to stop me from preaching against remarriage that this has been done, for no other reason. I mentioned in a sentence that I would remove from blog and website all about a preacher if he stopped preaching and purport to be a preacher. I mentioned this once, was threatening. Yet I have become almost skinned if I've mentioned things more than once. Whatever I have done, does, resistance against me and the preaching I have. It is equally strong and intensive. I have been accused of something I've never done. And what is the reason? The main reason is that I've hit my Satan where he hates. Disobeying God's word is as the sin of witchcraft. Remarriage is disobedience to God's word, and when this has been accepted among the vast layers of churches in Norway. Then parish life captured by the sin of witchcraft. No wonder that Satan is mad ?! God's word says that disobedience is sin of witchcraft! Disobedience or rebellion is as the sin of witchcraft. This is the biblical clear words and I've only and alone attacked, taken for me and pointed out what happens among those who have a leadership responsibility, Reverend Alan replies or trust people who live in the public eye. I'm not tired yet, we sing a song. This battle is not fought through yet. Still understand or will not God's people understand that this is an attack that is not directed against me. But God's word. God's Word clearly says that adultery will not inherit God's kingdom. What is an adulterer? One who is not faith against his first and right spouse. It is only death that could invalidate a marriage according to God's word, nothing else. I have been accused of so much, but all accusations are unfounded and large it all. Everything is not about me but about my or biblical view of divorce and remarriage. It is this controversy is about. I am being accused of mentioning any one time, it is wrong. Many times, it is incorrect. Everything I do and not doing is wrong, but all this is a lie, manipulation and diversion for what this is really all about. Therefore, I would urge everyone to pray for me, my ministry, my family and Smyrna Oslo. Also hired a lawyer, and several other things that we need help to accommodate. Will you be using? Have created separate account for Smyrna Oslo, see here.